Milton Glaser was born in 1929, he attended the High School of Music and Art in NY. In 1974 he founded Milton Glaser Inc. His work varied from promotional advertisements, posters, logos and brand names, as well as book and magazine illustrations. His more well known work include the I love New York logo, as well as the Jet Blue logo. I didn’t know too much about Glaser before the magazine assignment but he actually has a lot of interesting work. It’s really cool reading his idea paths when working on each piece of art because a lot of his thinking is so simple but it enhances his work in so many ways. 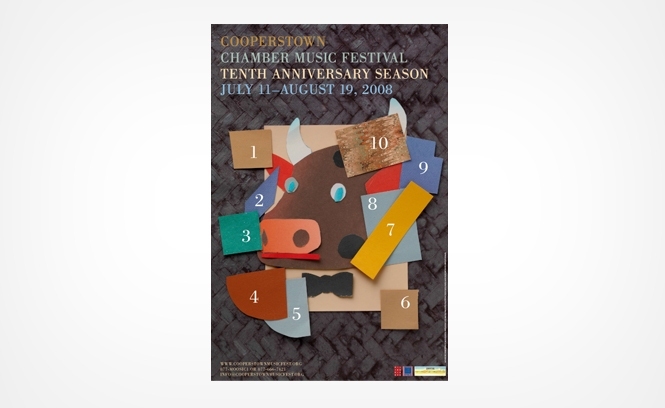 It was also interesting to find out that he does advertisements for the Cooperstown musical festival considering it’s right here.